Area volleyball continues tonight as Paris High hosts Prairiland. Chisum will be on the road to face Dekalb while North Lamar travels to Denison. Following the program’s first-ever NCAA Division II National Championship last season, the Texas A&M University-Commerce football team is ranked No. 1 in the American Football Coaches Association Division II Coaches’ Preseason Poll. Former Texas A&M University-Commerce star soccer player Sophie Haywood has signed a professional contract with Aston Villa Ladies FC. Cowboys defensive tackle Maliek Collins passed a physical and has been removed from the Physically Unable to Perform list. Cowboys coach Jason Garrett said Sunday that Collins is making good progress in his return from a foot injury, but he is still not quite ready for practice. 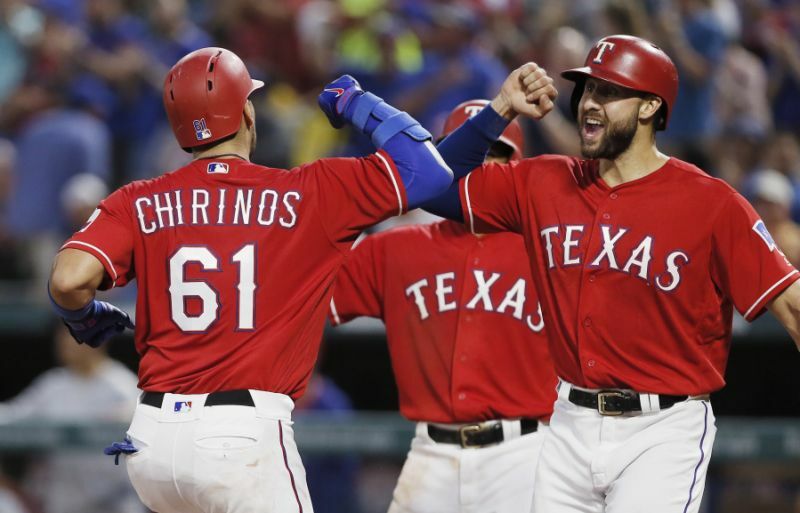 And the Rangers defeated Arizona last night 5-3. Robinson Chirinos had a monster night for Texas as he drove in four runs. Texas and Arizona will finish their two-game series tonight on 1490 AM and 96.3 FM KPLT. Pregame at 6:30. First pitch at 7:05. The Chicago Bears have agreed to terms with first-round pick Roquan Smith. The deal is for the slotted amount of $18 million guaranteed over four years. The contract should include about $11 million in bonuses. Selected with the eighth overall pick in the draft, Smith had been the last unsigned rookie in the NFL. Part of the reason for his holdout has been language in his contract that would allow the team to reclaim guaranteed money if the linebacker is suspended under the NFL’s new helmet-contact rules. Delicia Cordon, the ex-girlfriend of Buffalo Bills running back LeSean McCoy, filed a personal injury lawsuit Friday against McCoy and his former University of Pittsburgh teammate Tamarcus Porter in connection to a July 10 home invasion in which Cordon was beaten and robbed of jewelry. No suspects have been named in the criminal investigation of the attack, which took place at an Atlanta-area home owned by McCoy where Cordon was living at the time. Former Ohio State assistant football coach Zach Smith says he did not inform his old boss, Urban Meyer, that he was arrested and charged with drunken driving in 2013. Smith was arrested and charged with speeding and operating a vehicle while intoxicated in February 2013, one year after he joined the Buckeyes staff. He later pleaded guilty to a lesser charge and had his license suspended for six months.